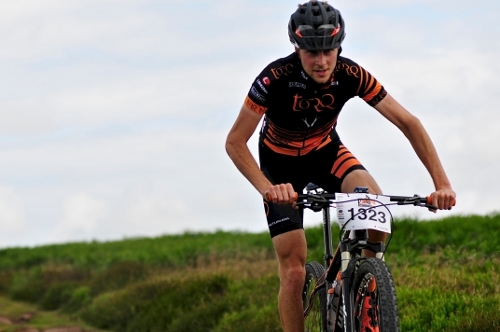 The first weekend in July saw the TORQ Fuelled Scott Marathon Series head to TORQ’s local mountain bike playground, the Long Mynd and Eastridge Woods for Round 3 of the Series. 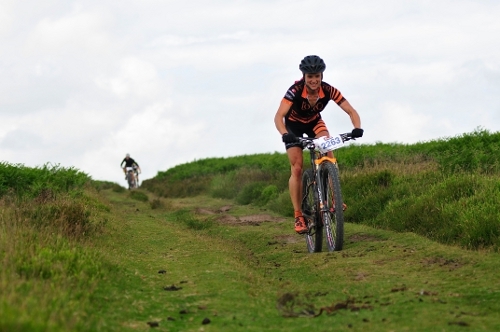 The event was centred on Church Stretton and showcased the best trails on offer in the Shropshire Hills. As always, the TORQ Team had a strong presence with the riders out in force, alongside a strong contingent of some of the UK’s fastest marathon racers, including the TORQ Fuelled Scott UK Team. 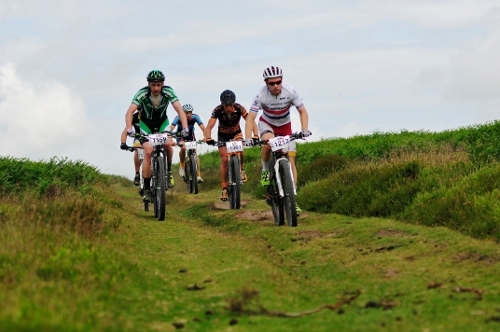 The TORQ Team all put in good rides on a tough course with some torrential rain towards the end of course for many. Both Jules and Jo were among the first back on the 50km loop, with Chris, Lee and Richard riding close to the front in the 75km loop. Here’s how the team got on from their own perspectives. Lee Gratton – “This was my first ever Scott Marathon and I picked a pretty good one to kick things off with. Church Stretton was a beast of a venue! I thought I was in for some serious climbing and that’s exactly what I got. I feared for my legs with a 36 tooth single front chain ring, but I figured it would all be good training! From the moment we left the neutralised start, it pretty much just went up! I managed to hang with the big guns for the first few miles but, after a small pilot error, I lost touch and try as I might I couldn’t bridge back (that’ll teach me to push!). The course was really enjoyable. We took in some beautiful views from the top of the climbs and the single track around Eastridge made every foot of climbing worth it. All in all it was a great training session and I finished in the top few, but more importantly, it was great fun, super well organised and one everyone should make the effort to do! Get on it people! Richard Dunnett – “Due to other races clashing with the last 2 rounds of the Scott Mountain Marathon Series, this was my first time at one of the Scott Marathons and only my second marathon event after the National Championships earlier in the year. I had been looking forward to this event for some time and it proved to be the perfect test after some time off to recover from the European 24hr champs. I was keen to see where my form was and get out to ride some of the UK ‘s best trails with my fellow team mates. A great event, enjoyed by all the riders. Next up for the team is the Midlands XC at Eastridge.